When the original curly girl and best-selling author Lorraine Massey began creating curl-friendly formulas for her own curls, she discovered two things that turned hair care on its head. First, curly hair needs to be treated differently than other hair textures. Second, sham-“poo” and its dehydrating ingredients is curly hair’s worst enemy. What happened next started a CURL-volution! With the support of thousands of enthusiastic curly hair salon clients, Massey and a talented team of curl care consultants developed DevaCurl. Perfect for curly, wavy and chemically dehydrated hair, DevaCurl cleansers and styling products are 100% sulfate, paraben and silicone free. The curl care collection contains only the healthiest oils and botanical extracts – like olive oil, lavender and wheat protein – to gently cleanse, hydrate and lock in moisture. L'Atelier's thoroughly trained staff of Deva architects and hydration specialists offer a range of services that nurtures your senses and spirit as well as your hair. Our expert staff will train you in the fundamentals of daily hair care and styling, encouraging and supporting you to embrace and enjoy the authentic quality of your natural hair every day. Two of the many trademarks for which the experts at L'Atelier are trained in, is the highly-acclaimed Deva cutting technique. The visual impact of these artistic expressions is a three-dimensional work of art. Free your inner Curl. Do the Deva 3-Step and discover three simple steps to perfect curls. Embracing your curls begins with a proven three-step hair care technique: Cleanse. Hydrate. Style. That’s the Deva 3-Step. No matter your curl type: S'wavy, Wavy, Botticelli or Corkscrew, doing the Deva 3-Step guarantees naturally gorgeous and frizz free, manageable curls. Sixty-five percent of women have natural curls and waves and do not know how to take care of them. Women fight them, hide them, tie them back, and blow them out. 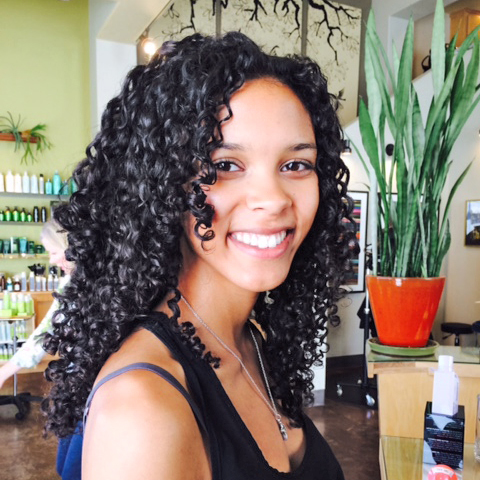 L'Atelier wants you to embrace your curls! Free them, brag about them, and flaunt the attitude that comes with them! The Deva Cut is a hair cutting technique created by Lorraine Massey, the author of "Curly Girl" and co-owner of Devachan Salon, in New York City. With this technique, each curl is cut individually and normally at an angle so as to not disrupt the curl pattern. From slightly wavy to corkscrew curls, the cut will encourage, enhance, and control your curls allowing you to enjoy every luscious twirling lock of the curls you love so much. Call today to schedule your Deva cut and style! 90 minutes appointments insure a thorough consultation, Deva Inspired cut and style. DevaCurl Haircut 90 Minutes from 95. DevaCurl Lesson 60 Minutes from 65. DevaCurl Set 60 Minutes from 65.